Mills Charters operate in Perth and out of Geraldton (during the Abrolhos season)..
Our experienced fishing charter boat crew know exactly where the fish are biting. Our crew will share their knowledge with you and it does not matter if you are a novice, or quite the expert. Hillarys Boat Harbour Perth is our home port, but we can arrange to leave from Fremantle or Barrack Street on request (for the private charters only). The fish targeted in the ocean off Perth are: Mulloway, Dhufish, Pink Snapper, Samson Fish, Baldchin Groper, Queen Snapper, Mahi Mahi (dolphin fish), Silver Trevally ( Skippy), Breaksea Cod (black arse), Red Snapper, and many other bottom feeding and pelagic species. Inclusions: All fishing equipment, bait and tackle. Breakfast, lunch, snacks and soft drinks provided. We will even gut and gill your catch for you, put them on ice, and give you a bag for you to take them home. Equipment: For Deep Sea fishing we use Australian made Alvey reels and Penn rods. We also use the very freshest fish bait, including squid, mullies, herring, and octopus (when available). Experience the magnificent sunset and then fish whilst surrounded by the moon and stars! On the night trips we mainly target Pink Snapper, which are prolific night feeders, at the one of our secret Perth fishing spots. 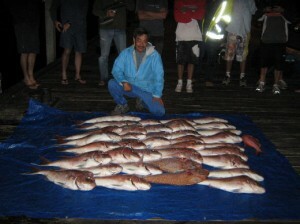 We can also go in search of Dhufish, Mulloway, Red Snapper and other night feeding fish if you wish. Inclusions: All fishing equipment, bait and tackle. 6 inch subway sandwich, potato chips, sweet biscuits and soft drinks. Hat for biggest or best fish. You can hire the whole boat for that special occasion, either to fish, go to Rottnest Island, Carnac Island, or even a night cruise up the Swan River – Staff parties, weddings, birthdays, bucks/hens outings, office Christmas Party… We have 2 boats available handling maximums of 27 passengers for fishing – the largest fishing charter boat in Perth – or 64 passengers for River is Island cruises. Alternatively you can use it to fish some of the day and visit Rottnest Island afterwards. 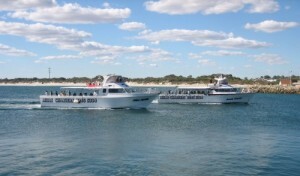 Or you can tailor make your own Perth boat cruise – come to Mills Charters with your suggestions. We also offer overnight group charters – where you can fish and spend a relaxing night at Rottnest Island. Hillarys Boat Harbour, Perth is home harbour for our cruising and fishing charter boats but we can operate from Fremantle, Mindarie, the Perth CBD (Barrack Street Jetty) and other locations. Inclusions: For fishing – fishing gear, bait, tackle as well as breakfast, lunch, snacks and soft drinks (or you can provide your own catering for a cheaper option). For River or Island Cruises -The galley has a kitchen with microwave/convection oven, bar fridges, stove top, sink and bench area. The adjoining saloon area has plush seating and table accessorised by the huge flat screen television so you can sit back and relax as you enjoy the cruise. The $10,000 sound system fitted with wireless microphone, ipod and cd facility has speakers in the saloon, deck area and the flybridge. On deck, there is ample space and seating for guests with a long table, overhead canopy and clears for all-weather protection, as well as stylish carpets and paint work. There are male and female toilet and shower facilities on board. 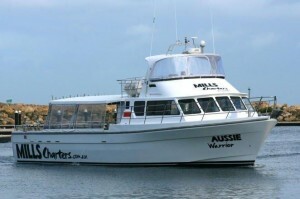 Inside and out Aussie Warrior is immaculate and the perfect venue for your next floating function. Mills boat charters are Perths first and longest established, family owned and run, Fishing and Charter Boat operator. We have been meeting, and beating the high expectations of our charter boat customers. Our inspirational and progressive attitude to our charter business helps retain our status and reputation as Perths No 1 recreational fishing charter boat operator. We have high Perth fishing catch rates. We specialise in all types of fishing charters out of Perth, as well as whole boat charters for private and corporate charters. 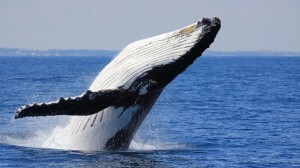 Whale watching is also possible in the Indian Ocean between Perth and Rottnest Island. 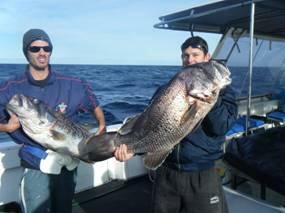 Mills Charters is the only Australian Tourism Accredited Fishing Charter in Western Australia. We were also Perths first fishing charter to start the concepts of Night fishing, Samson Jigging, Whale Watching and Club membership reward schemes for our regular customers. Boats At 70ft and 75 ft, our boats are the biggest, fastest, most stable and fully equipped in Perth. They crusie at speeds of up to 20 knots so we can get you to a selection of our 3,000 secret fishing spots near Perth quickly and comfortably. Also dont forget to look at our other listing for the new Broome, Kimberley Fishing and Eco-Adventure holidays.